Sleeping: He goes to bed around 8/830 and normally wakes up once around 2-3 to feed then goes back to bed until 630ish! I really hope he continues to sleep this well! He naps really well on the go too, which is nice since we are out and about a lot. 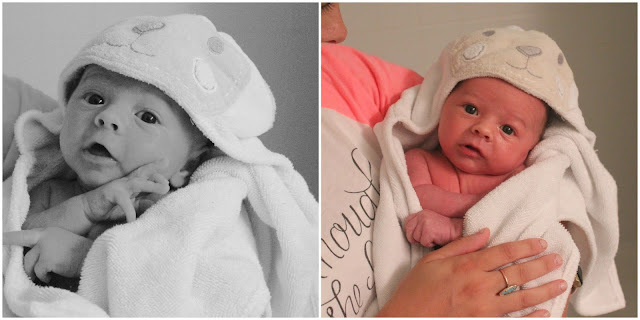 When we're at home, we swaddle him for both naps and night sleep! Milestones: I got my first smile out of him the other day (8/31) which was awesome. He has held his head up really well since he was born (seriously-the nurses were commenting on it!) and has strong little legs - he's always kicking them just like Camden did. We adore his sweet demeanor and how chill he is! He hardly ever cries and is just a very content little boy. Even when big brother tries to love on him a little TOO hard and practically smashes/sits on him. ha. We can tell already how much Cam loves him...he's always trying to kiss him, give him his paci, or share his balls with him. 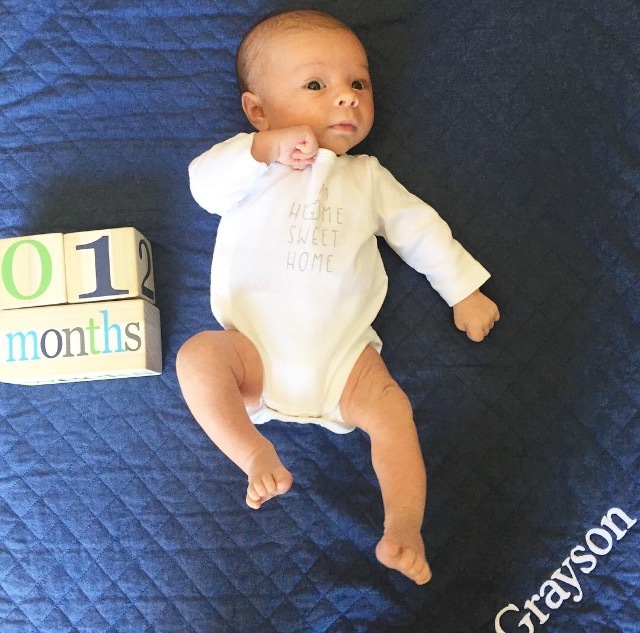 Happy 1 month, baby G! We love you so much and can't wait to watch you grow over the next year! So sweet! 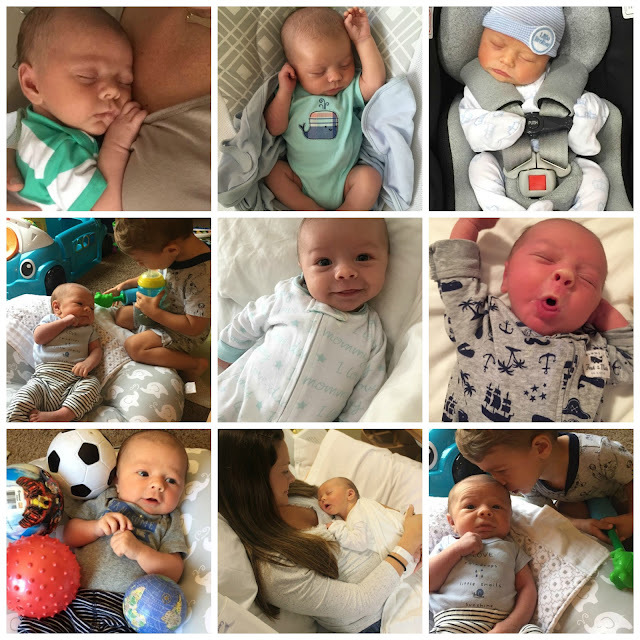 He's adorable and I can't believe he's already a month old!! I am always a bit jealous when I hear of newborns almost sleeping through the night. Caroline is 6 months and has the same routine!